But a terrible blog is still terrible. It won’t bring massive traffic. It doesn’t help sell product. It doesn’t create a connection with consumers that builds trust and facilitates loyalty. Etc. 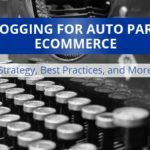 The question is, how do you make sure your auto parts or accessory ecommerce blog isn’t terrible? 1. Write about stuff your customers care about. No one cares about self-promotional content, at least outside your company. New product announcements are rarely interesting, unless you explain how they solve a problem. Articles that teach customers how to “get their vehicle ready for winter” might be interesting, but that topic has been beaten to death. Articles about a sale or promotion are fine from time to time, but a steady diet of promotional blog posts is bad. Etc. Do keyword research. Look for search terms that contain your topic keyword along with the words what, why, and how. Survey your customers and ask them what they’d like to see more of on your blog. Ask your customer service and support staff about common questions they get from customers. Check out popular forums and Facebook pages, and see what questions customers are asking. The big secret? Have the right mindset. Always write blog posts for the consumer. 3. Link to interesting stuff. Linking is critical to the success of your blog posts. Everyone loves a good link, and linking also helps with site indexing. If you’re writing a review, be sure to link to other relevant reviews on your own site. 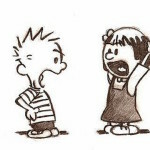 If you’re writing an article that tells consumers how to solve a problem, link to a walk-thru. 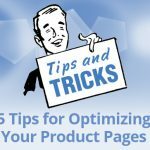 Be sure to link to product and category pages on your own website as well. 4. Use pictures and videos. The brain processes imagery 60,000 times faster than text. 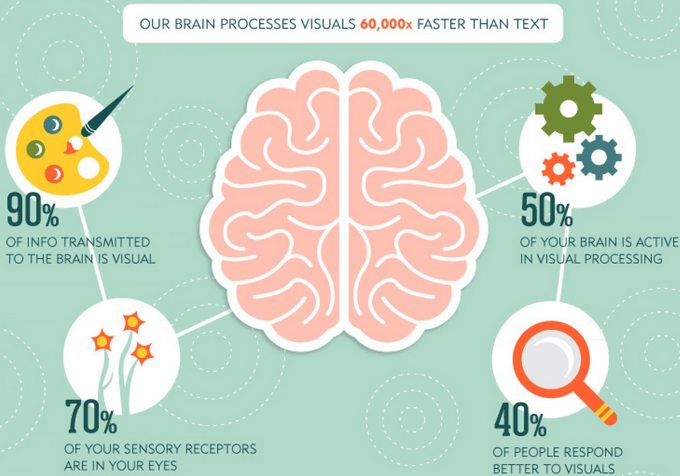 Images and video tend to hold our attention better than text. Images and video break up the monotony of a long blog post. 5. Blog on a consistent schedule. If your blog posts are interesting, your blog will start to develop a following. 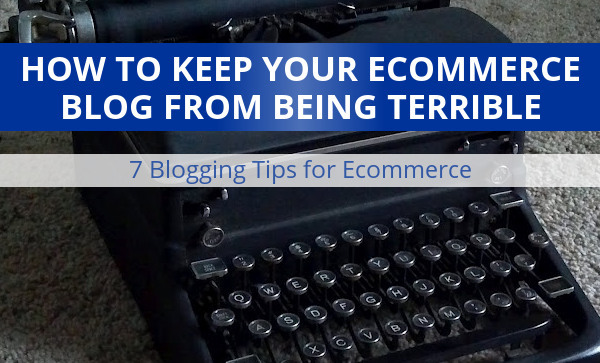 If you stop blogging for weeks at a time without warning, that will reduce your following. If you blog inconsistently (Tuesday one week, Friday the next), that will also reduce your following. 6. Share useful or interesting data. Clever blog posts are interesting, but data is forever. A table, chart, or graphic that shares useful or interesting data is a magnet for activity. Auto enthusiasts often share data on their favorite forum. Many people will bookmark data so they can reference again in the future. Great data also builds trust and consumer confidence, which leads to increased sales. Blogging is hard. It takes time to plan out a content strategy. It takes energy and creativity to generate blog post ideas. It takes skill to write a blog post people can actually read. It takes an investment to run a blog, as most blogs won’t generate a positive ROI for 12-24 months. Part of the reason blogging works so well is that most companies won’t stick to it. It’s easy to find abandoned blogs. Not to name names, but the last time AutoAnything.com updated their RidePros blog was in 2014. You can find the date of the last blog post by checking out their RSS feed. 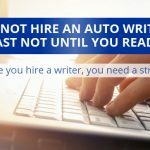 If AutoAnything.com – an industry leader – can abandon a blog, blogging is obviously a challenge. 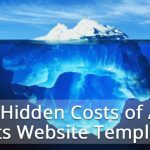 Ecommerce blogs that last will definitely generate value. Blogging isn’t easy, but good blogs make money. Many of our established clients have blogs that receive tens of thousands of visitors each month. These visitors generate significant revenue, not to mention the branding benefits of a busy blog. Even our little blog here at Spork Marketing is a money maker. Many of our clients find us via our blog posts, and our blog receives thousands of views every month. As far as marketing investments go, our blog is by far our most successful channel. Finally, if your company ecommerce blog isn’t working, contact us. We can make it rock and roll.